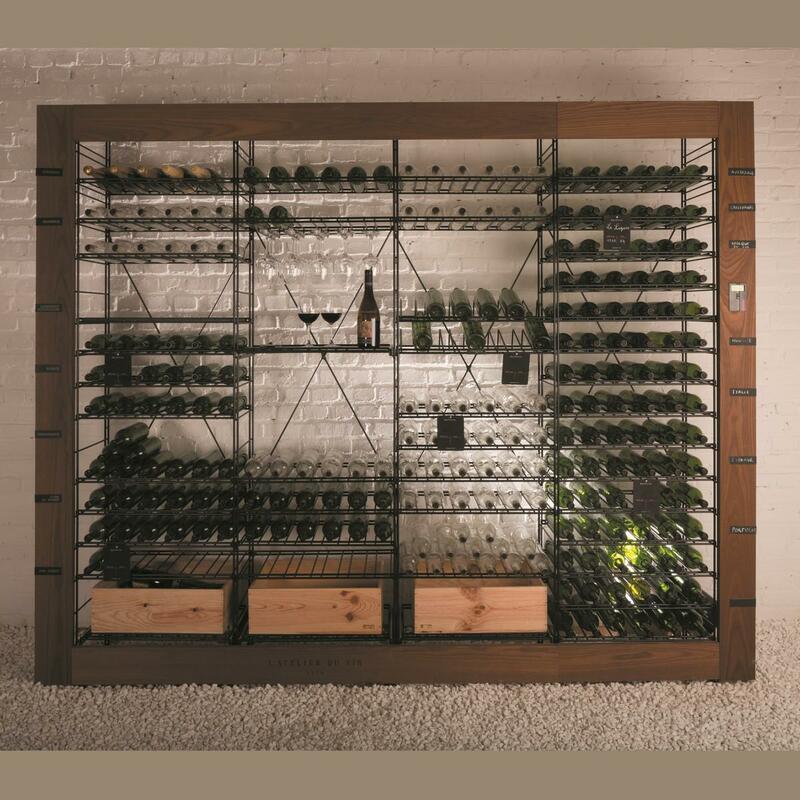 The Professional Wine Rack Smart Cellars by L' Atelier du Vin will help you organize your wine collection in style. 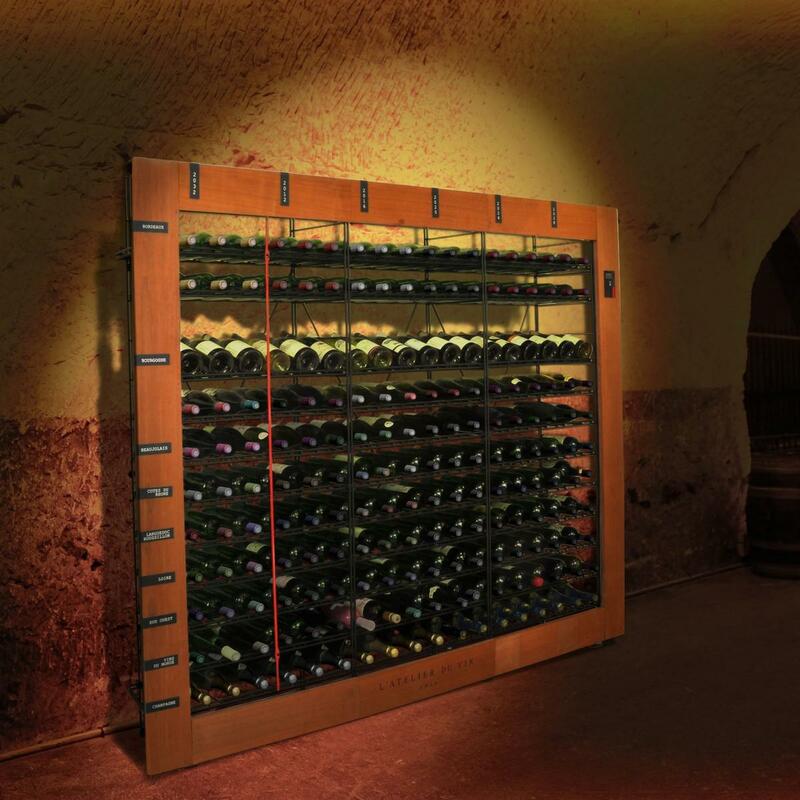 The professional wine rack Smart Cellars system is not only a simple and elegant addition to your cellar but also extremely functional with extra features that every professional cellar needs. 1. Tracking bottles by a time line. 2. 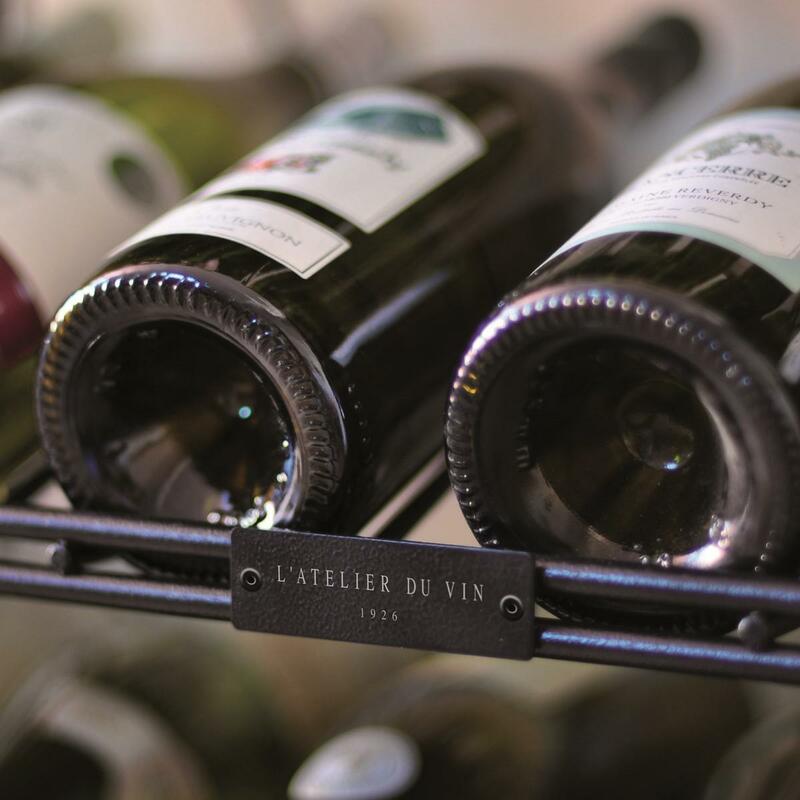 Identification and appreciation of the wine collection by region. 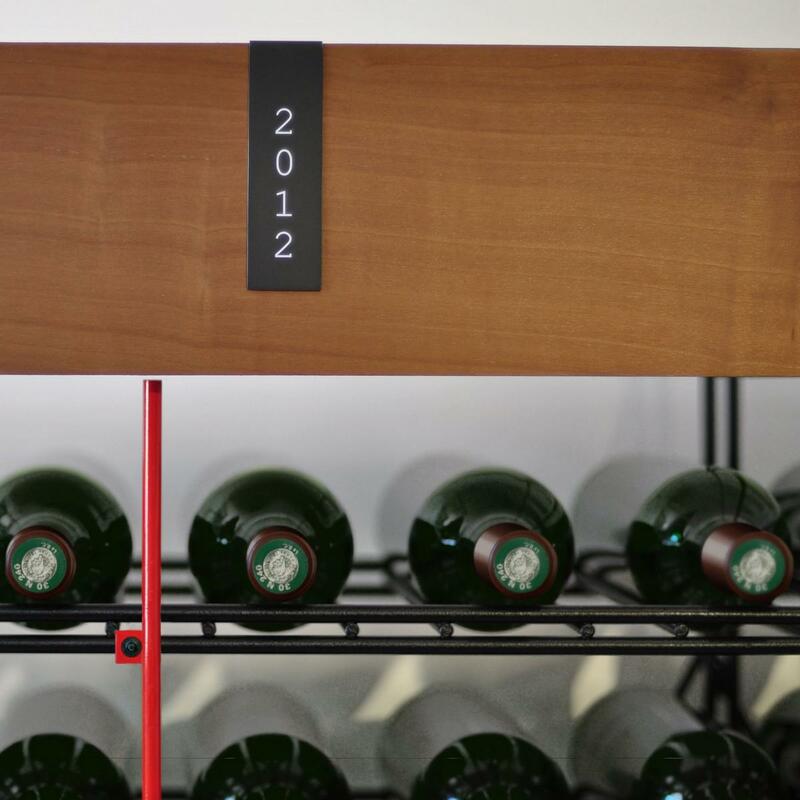 - stop the risk the forgetting when to drink great bottles before they “die“. 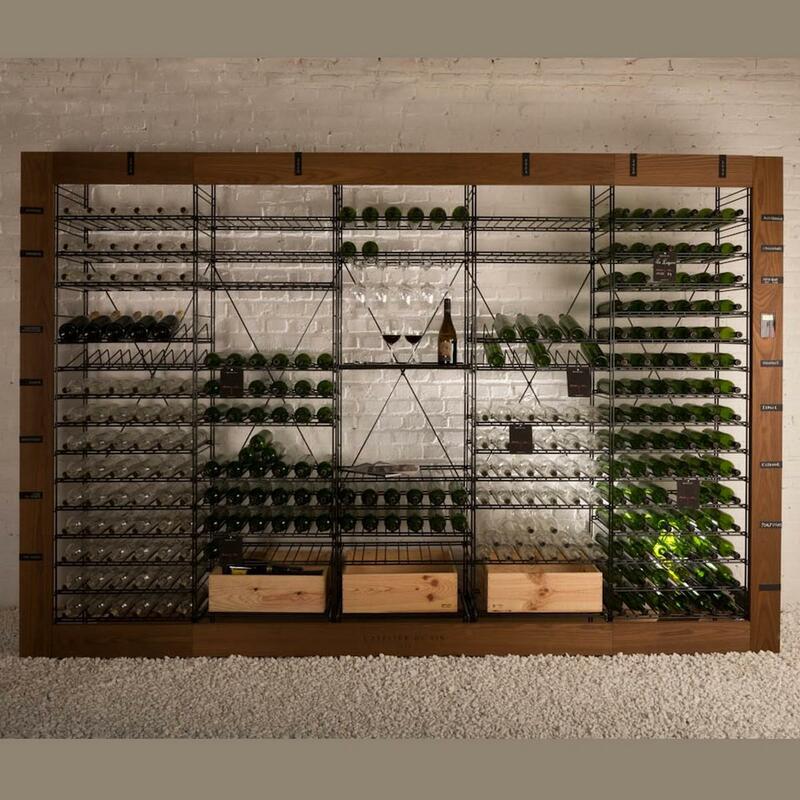 - stop searching for invisible or not properly stocked bottles. 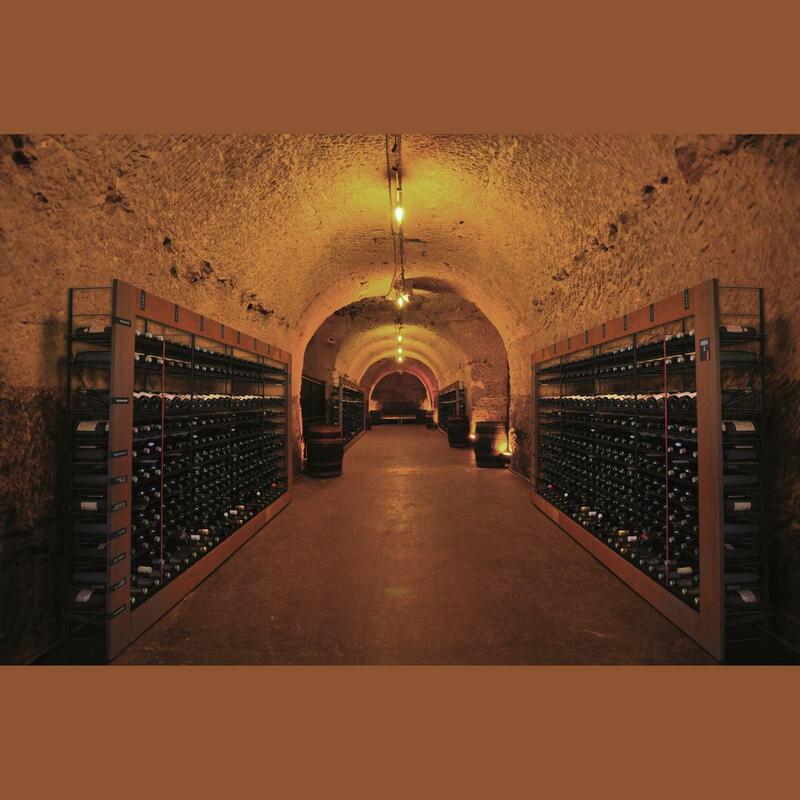 - avoid the “sad” tasting of faded wines! 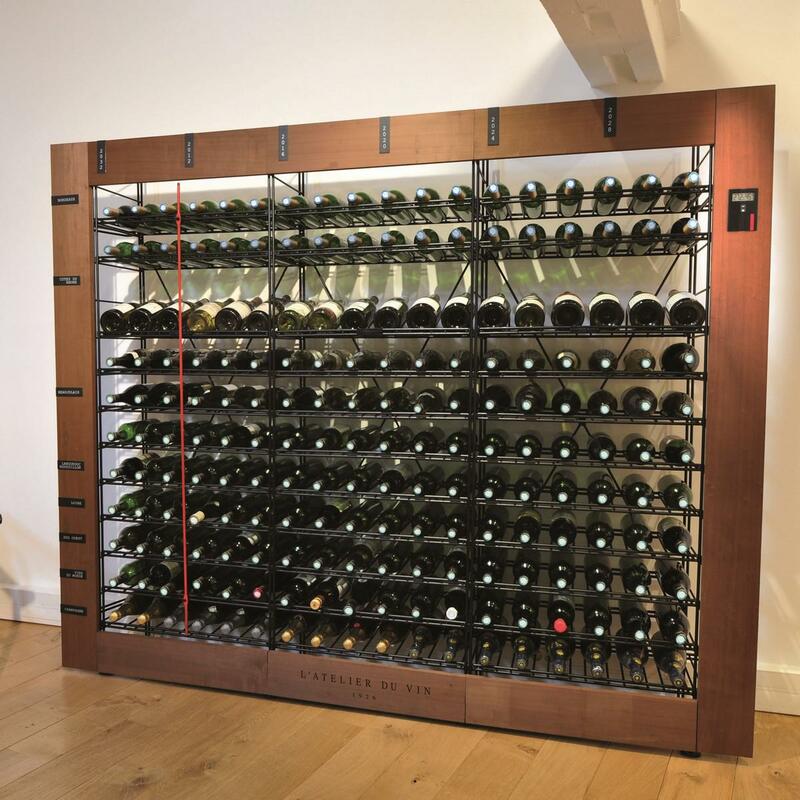 The professional wine rack Smart Cellars provide enough space for every bottle with an overall capacity of 66 bottles (78 if you choose the H2 version) and also the option for extension to cover your exact storing needs. 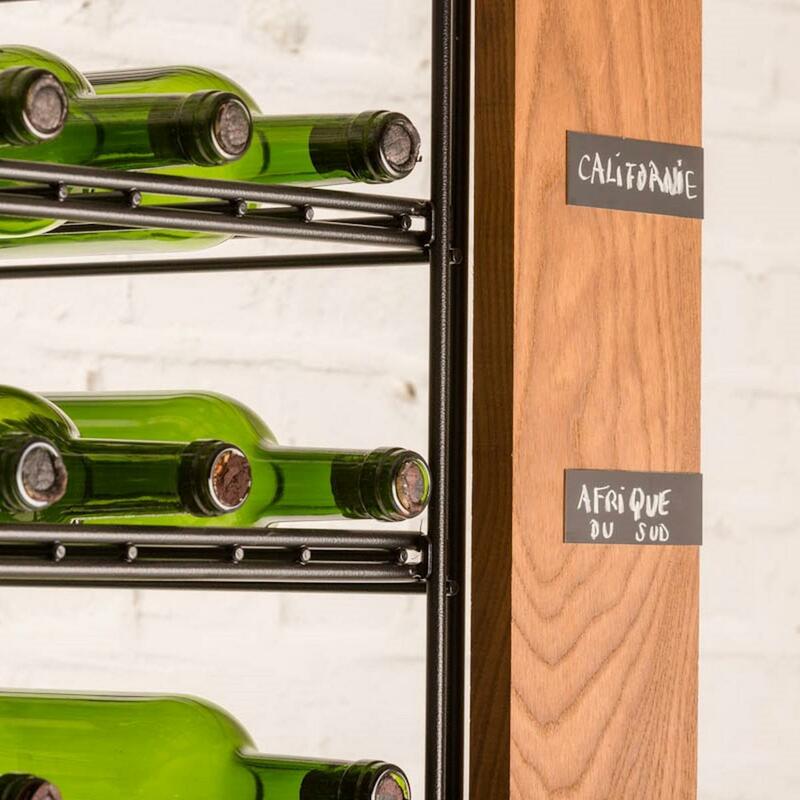 Just add as many Professional Wine Rack Smart Cellars Extensions as you need, each with a capacity of 66 more bottles (or 78 if you choose the H2 version). 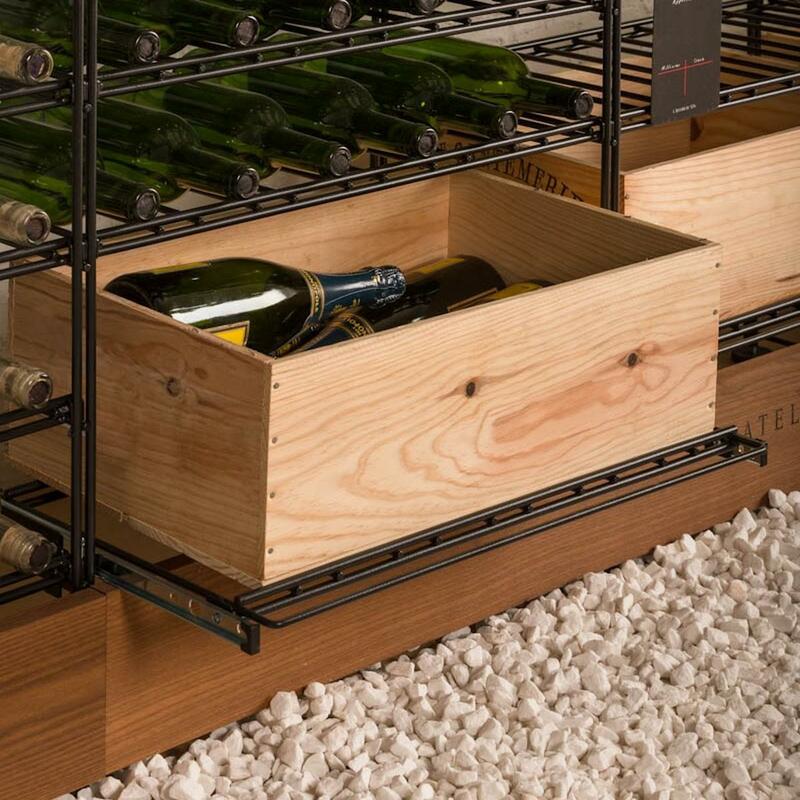 The professional wine rack Smart Cellars does not need special tools. 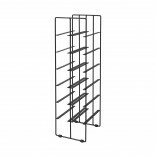 It has a simple mounting system by interlocks and clipping, plus adjustable legs to fit any floor unevenness. 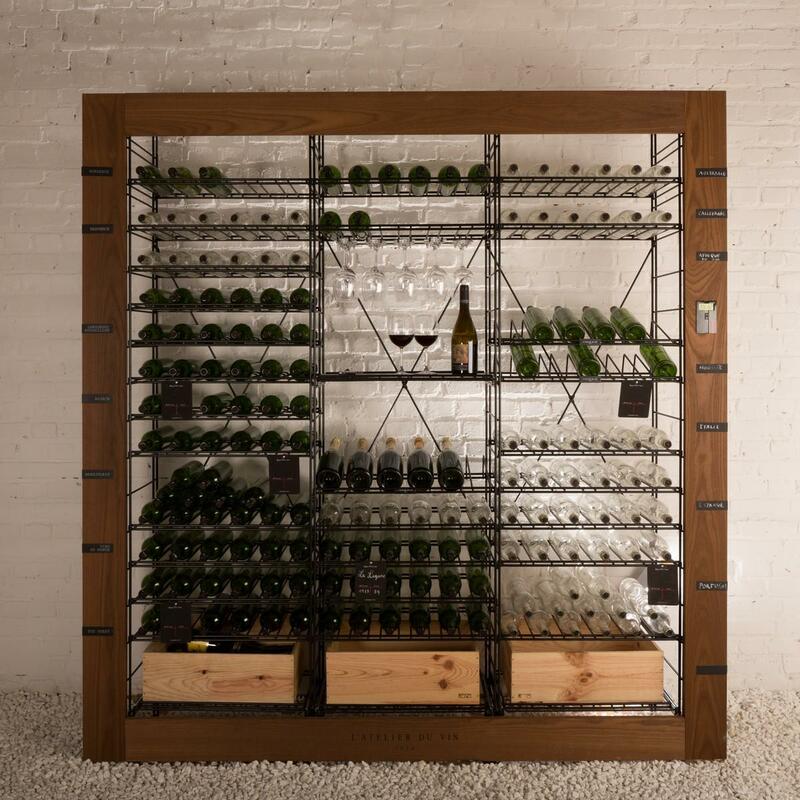 The Smart Cellars is a professional wine storing system with patented design that will completely change the look and function of your wine storing space. 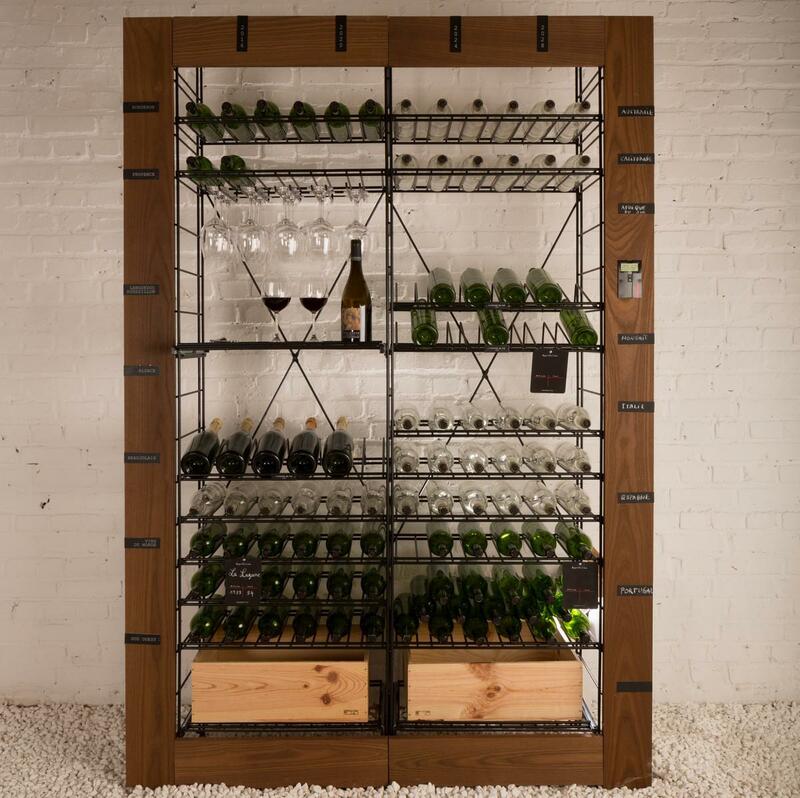 The price refers to one piece of the Smart cellars Basic Unit as shown in the first picture. 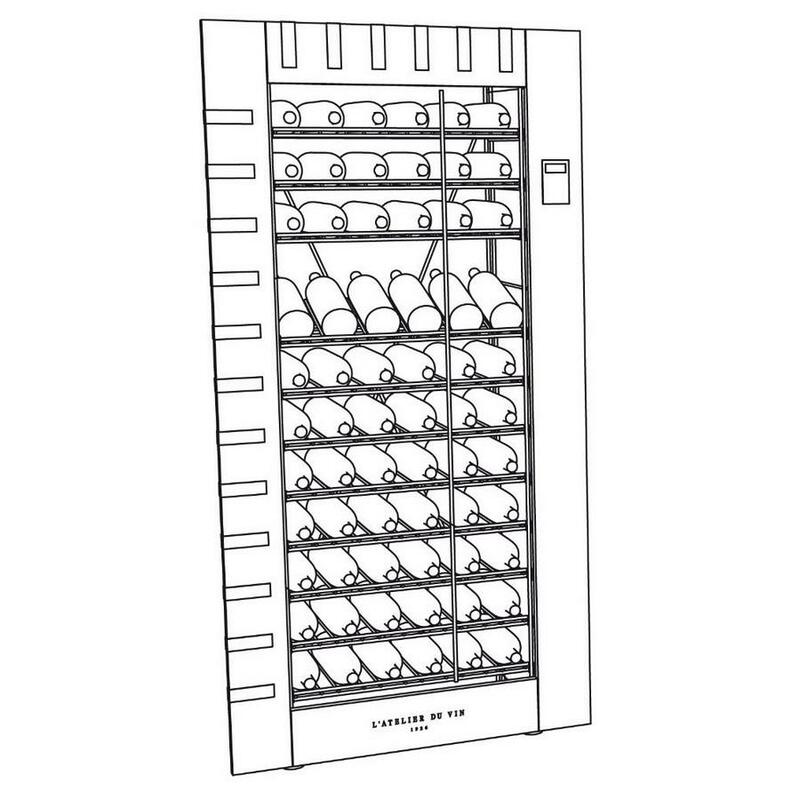 ( the Hygro-thermo Digital Station is a separate product SKU:9523). 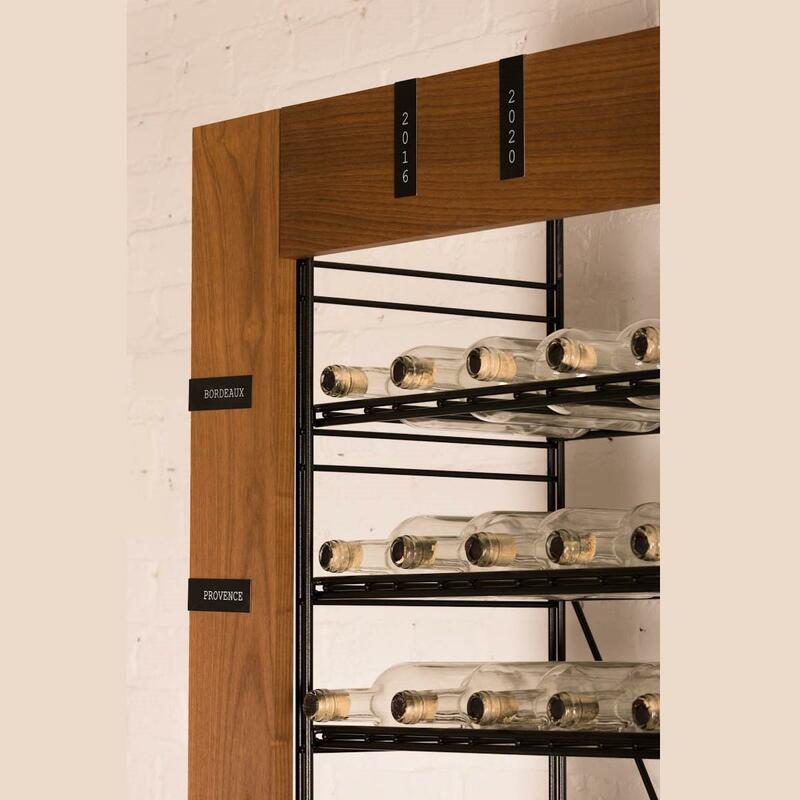 Different accessories like slanted shelves,drawer shelves, wooden drawers, glass racks, magnum bottle racks, ladders, luminous frame, panels and descriptive patches are complementary accessories upon request. 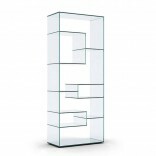 Colour: Black / Oak Wood. 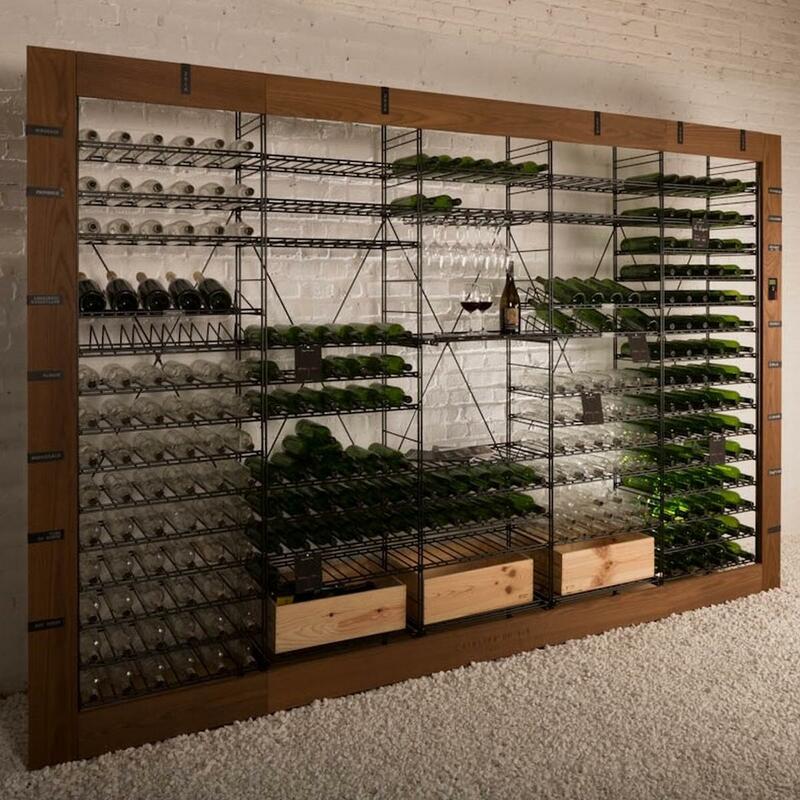 Material: Anti-corrosion treated steel, Retified solid natural oak wood, Stainless steel descriptive metal patches. 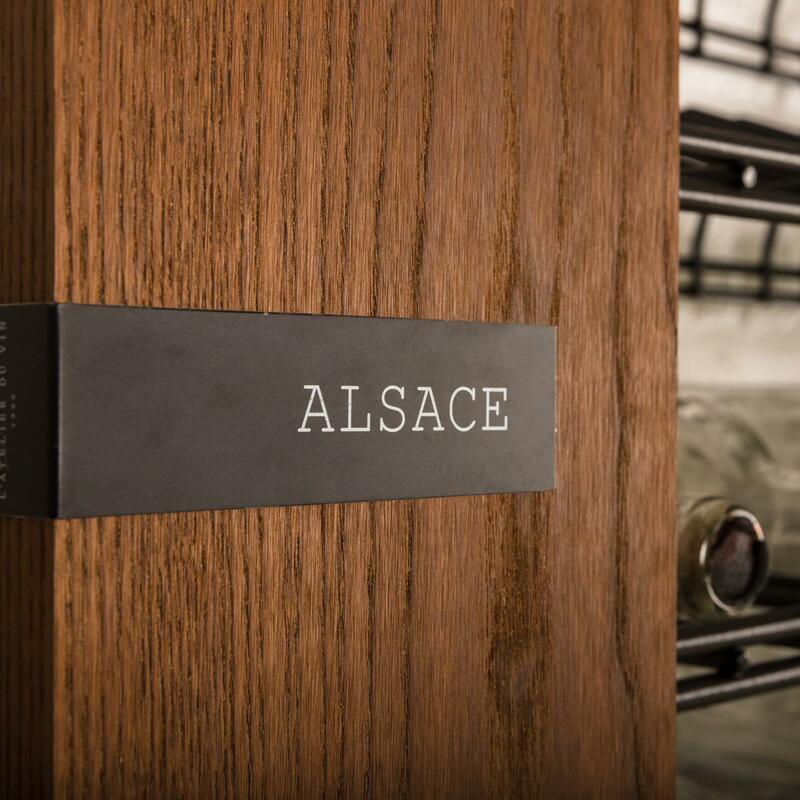 The wood is naturally treated, sustainably sourced and chemical free. Resistant to humidity. 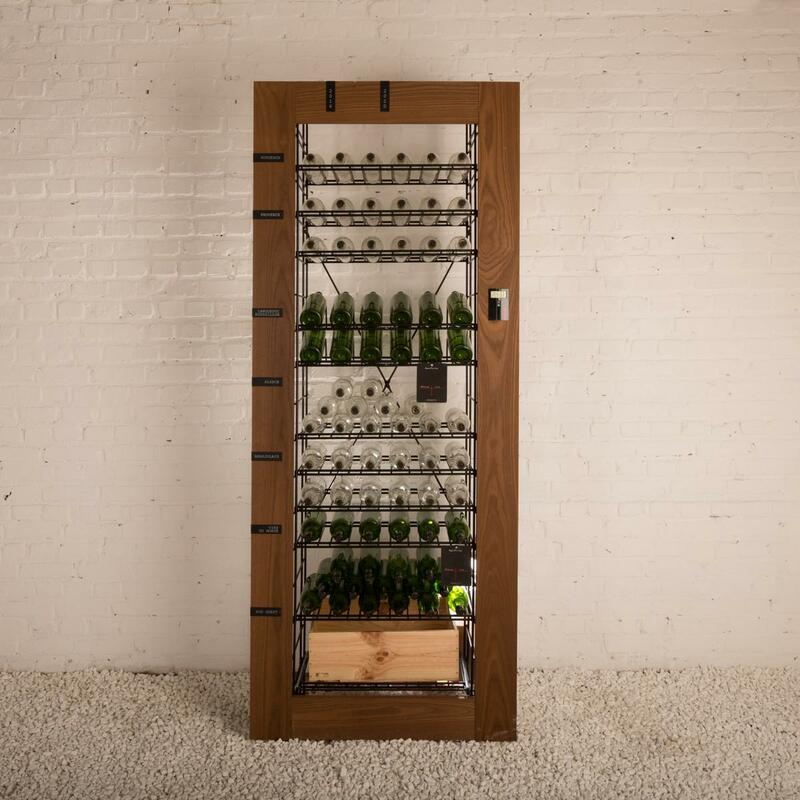 The technique of retification on locally sourced wood is an ecological alternative to the use of tropical woods, and saves valuable air miles. Dimensions: 87 x 35,5 x 172,5 cm (H1) / 215cm (H2). 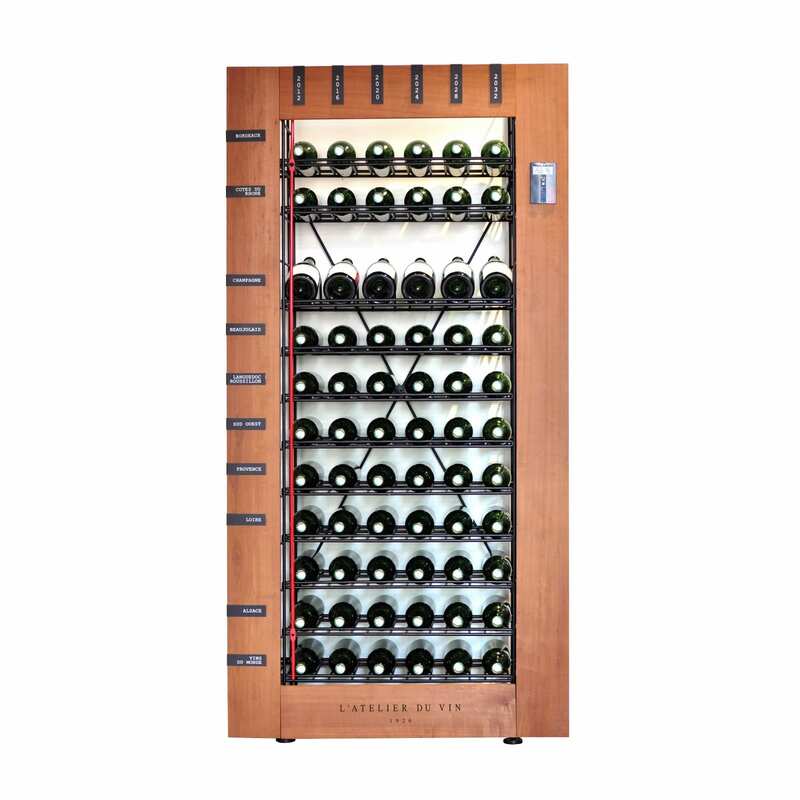 Capacity: 66 bottles (H1) or 78 bottles (H2). Time line with spotting mobile bar. Simple mounting system by interlocks and clipping. 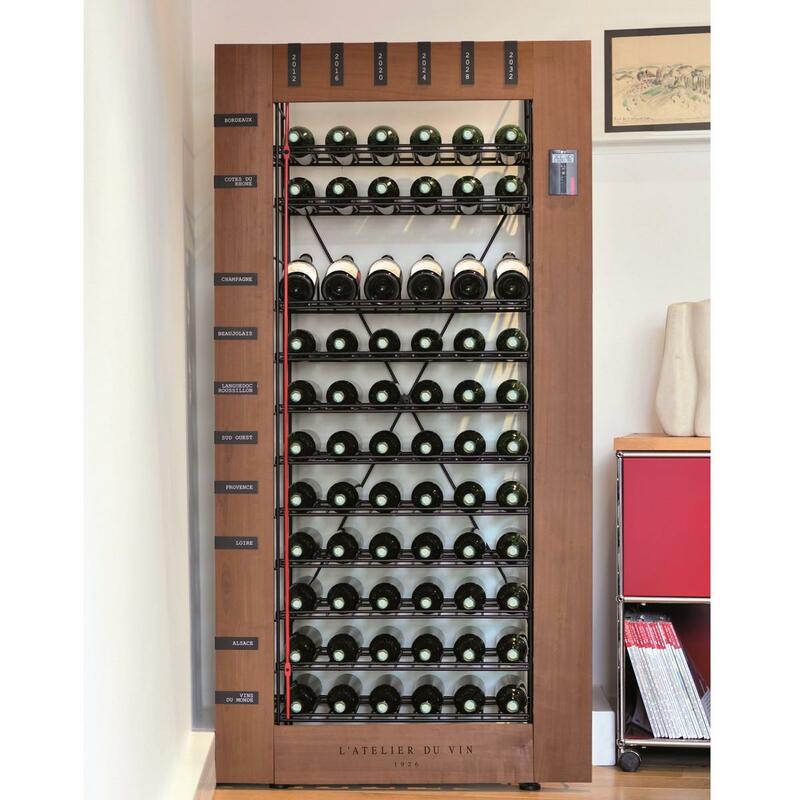 Possibility of adding complementary units (Smart Cellar Extension) with a capacity of 66 additional bottles each. 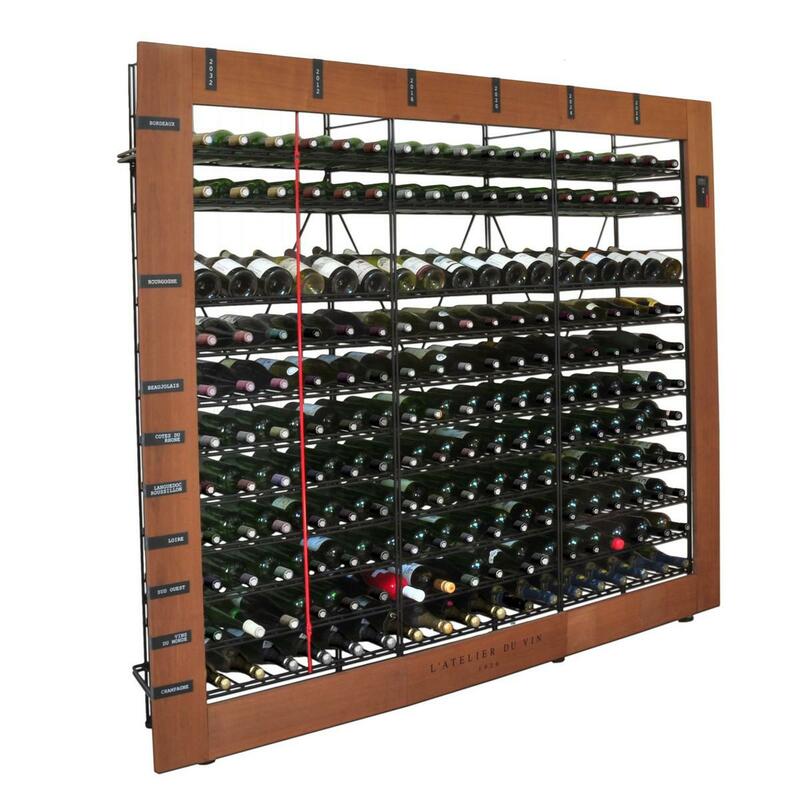 For commercial spaces and professional use in daily basis (restaurants, wineries etc) the manufacturer suggests wall mounted installation (metallic mount are available by order).